Aircraft rescue fire fighting is one of the biggest and most complex challenges that fire brigades have to meet. As the helpers’ partner, IVECO MAGIRUS supplies a complete range of air crash tender and fire-fighting vehicles, turntable ladders and aerial rescue platforms. 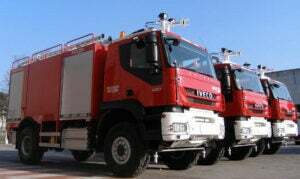 The systems provided by IVECO MAGIRUS not only guarantee effective assistance, but also make conditions safer, easier and more predictable in day-to-day operations. Time and time again, innovations from IVECO MAGIRUS have set new standards for the entire industry. 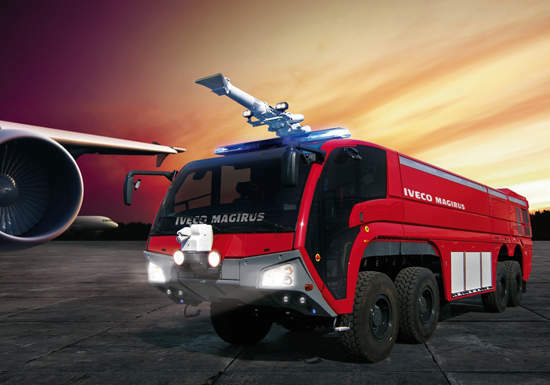 Special fire brigade chassis, revolutionary superstructure systems, innovative cab solutions, state-of-the-art pump technology and impressive all-wheel concepts: these are a few of the reasons why airport fire brigades all over the world also rely on IVECO MAGIRUS. 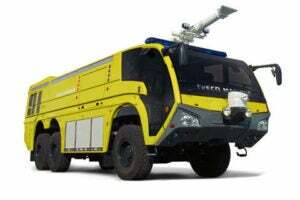 With the DRAGON 2 model series, IVECO MAGIRUS has introduced a new generation of airport fire-fighting vehicles. The series is innovative with all-new concepts specifically developed for the chassis, drive train, extinguishing technology, control system and design result. This attractive range of vehicles can do more than ever before. DRAGON 2 units address the constantly growing and often extreme demands associated with fire-fighting operations at airports. The IMPACT model series combines proven solutions with innovative technologies, multi-functional qualities with highly specialised capabilities, and compact dimensions with a broad operational spectrum. The IMPACT is specially designed for fire brigades at smaller airports with limited budgets. This model series is based on the large-scale production truck components of the IVECO trakker and is adopted to meet the specific requirements of ARFF. Superstructure technology, extinguishing technology and control system electronics are perfectly matched to the chassis and represent integral parts of a consistent overall vehicle concept as only IVECO MAGIRUS can supply. 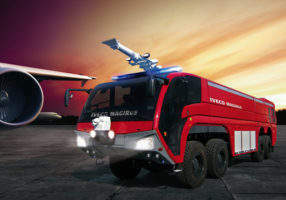 At the largest worldwide trade fair for rescue, fire and civil protection services, INTERSCHUTZ 2010, Iveco Magirus presented a new range of aircraft rescue and fire-fighting vehicles for airport applications (ARFF Vehicles).